Who is Zuma the Dog? 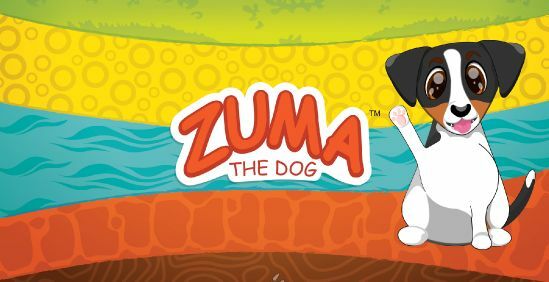 Woofilicious Kids Character Brand - Zuma The Dog! Welcome to Zuma the Dog's website - home of the woofalicious character! Zuma the Dog is the loveable enterainment character brand based on a real life Jack Russell Terrier who has lived an extraordinary life. His rambunctious personality has been the inspiration for the brand philosophy. Keeping Childhood Alive! Zuma’s world is exciting and colourful and he wants you to join him in his adventures. He has lived in m any countries and has learnt good communication skills through language and cultral diversity, which has lead him to become the go to character for language learning and anti-bullying for children. Zuma loves to dig and the background image on this website represents layers as he digs down into the ground. Grass, Sand, Stone, Water, Rock and Bedrock, much like the layers of language learning, cultural awareness and understanding difficult situations. Peeling off the layers of a problem to reach the core and working on that key issue for solid resolution and acceptance. Have a look around our site and check out our latest Zuma the Dog inspired products. Every piece has been lovingly designed with Zuma at the heart of each item. Why not get crafty with our Activities page? Colour in, create and sew. If its brightly coloured gender neutral products you want, I'm sure we have something for you. Perfect for gifts - Once you've bought Zuma, you'll never want another dog again!